If you hear the name DEWALT, what exactly comes to your mind? That’s right! It’s all about power tools! Power tools are tools with additional power source and mechanism other than manually operating them. It lightens workloads and helps you finish projects conveniently. And this is what DEWALT all about! Creating such tools to help you work with ease. So, what does DEWALT make to be ahead from other manufacturers? 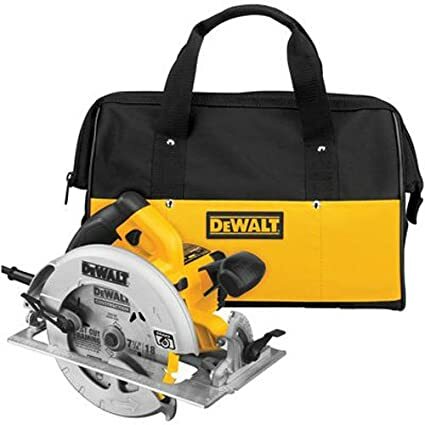 It’s durability as well as genius design in all their products that make DEWALT become one of the famous companies in the field of construction. 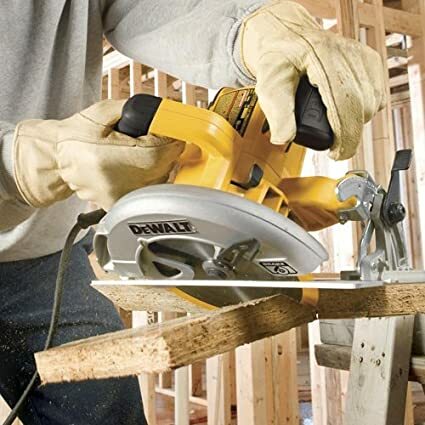 Just like our featured power tool in this article, the DEWALT DCS391B 20-Volt MAX Li-Ion Circular Saw which is one of the most talked circulars saw in the market. Why? Simply because it captures the heart of many users both in construction and even in simple DIY home projects. In this review, let’s try to find out how such toy attracts many users. Let’s explore the world of circular saws through DEWALT DCS391B 20-Volt MAX Li-Ion Circular Saw! Most of the time, when you purchase this device, it comes in a kit. But there are also sellers who will just sell the tool alone, without chargers, batteries, and accessories. But for the benefit of everyone who is still curious about this magnificent device, let’s include everything about DEWALT DCS391B 20-Volt MAX Li-Ion Circular Saw. As you unbox the popular Yellow and Black Box (DEWALT’s identity), you can see the tough and sturdy appearance of your device. A manual and manufacturer’s warranty is always included when you buy the kit. The magnesium shoe offers both durability and light weight. The whole design gives comfort especially if you hold the rubber over molded grip. It is easy to hold and control. The stock blade measures 6-12″ carbide tipped blade that is capable of cutting through 2x material at both 90 and 45 degrees. The bevel angles between 0 and 50 degrees allow you for plenty of flexibility for angle cutting. This means you can use such device to many cutting situations. It is powered by 20V Max 4.0 amp hour battery that allows you to use the device for a longer period of time. We actually tested the DEWALT DCS391. What we did was, we put the device through a series of cross cuts into 2 x 12 pressure treated wood. Using the device, I was able to test the circular saw blades by making 6 cross cuts without any interruption. The machine didn’t even give signs of bogging down. It was actually tested too by my friend to see how comfortable this thing to hold to. Looking at the wood we have cut, we saw how stable, clean, and smooth the cuts were. Truly, we are impressed! We then shifted our test to the device’s maximum speed. At an average of 25 seconds using the stock blade, we were surprised to have 5 cross cuts accurately. I thought I’m gonna lose and take back my first impression of the device. It’s good to say that I’m still impressed with the speed of DEWALT DCS391. We have also tried to slow down the speed, still, it made us in awe when we had cut the woods clean and accurate. The cutting process was so smooth. Because it is lightweight, it is easy to control and maneuver. The device is lightweight and comfortable to hold. Offers a smooth cutting operation. The battery may drain fast because it consumes much for the power. Quite expensive but worth for every penny. Is there also circular saw which is powered by electricity? Yes, there are. But according to surveys, cordless ones are preferred to be bought because it can be used anywhere even with the absence of electricity. Yes, it comes with a three-year warranty. What is the maximum speed of DEWALT DCS391? Yes, that’s why it is easy to hold and it doesn’t easily get slipped from your hand. Always buy your device from trusted and legit sellers such as Amazon (online) or other authorized distributors. Get yourself familiar with the warranty that the company offers. When you received the item, inspect all the inclusions and try the device according to instructions. When there seems to be trouble with your device, you can ask help from customer service of DEWALT or refer your item to authorized technicians. After using, clean your device and keep it in a safe and dry place. Refer to the manual especially if you are just new to operating it. If someone borrows your tool, be sure that the one borrowing it is familiar in operating the device. Always observe safety when using the device. Gloves, eye protector, etc are some of the safety stuff. Use battery that is compatible with your device. So, we’ve come to the end of our review. Final thought? Well, if your main concern is speed, this device might not be the one that would be highest in rank. It may not be commendable with its speed. However, if you are looking for clean and smooth output, this DEWALT DCS391 might be rockin’ you. Definitely, you’ll enjoy smooth cutting and closer-to-perfect cuts. Another impressive feature is the design of the device which is intended to provide ease and convenience to the user. It’s lightweight and handy, perfect for long hours of work in the construction or home use. And if you’re going to ask my satisfaction level for this device, definitely 5 out of 5! 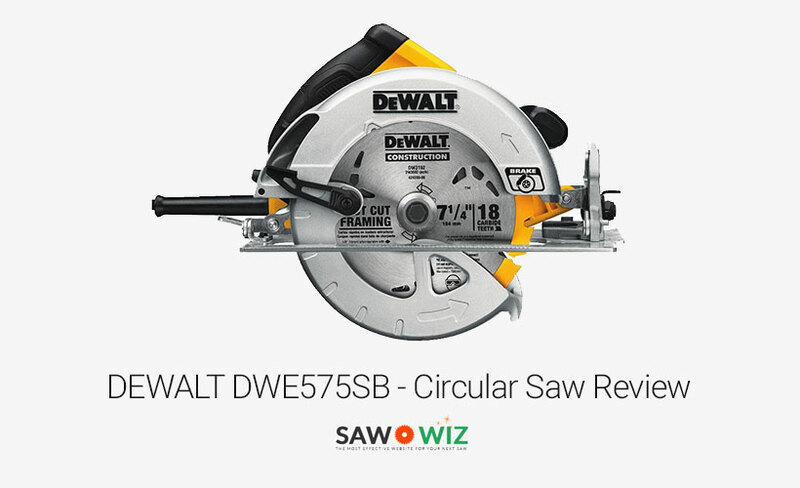 Rockwell VersaCut Circular Saw Review – Highly Recommended!